I will be there that evening and the next day (30th) when you will be able to call up and buy what doesn’t sell on the night. If you cannot make it follow me on Instagram and I will be happy to help. So what are you going to find? I know that I would want to know before I head to an event, as everyone’s time is precious. I was lucky to get a chance to have a private viewing and below are just a few of the pieces you will be able to find. Buying from Charity Shops is a fantastic way to buy brands which would normally not be in budget. Not to mention the fact that you can find vintage items which are often finished to a much higher standard than the clothes that are manufactured today. There are so many coats; from Max Mara to Woolrich and all in terrific condition. The long coat below is from Salvatore Ferragamo and is around the £200 mark, it is 100% cashmere and a size 14 UK. The coat above is by Tomaz Starzewski and is a size 12 UK and also around the £200 price point. Designer dresses have become so expensive, and a great one is on my wish list. I spotted the ones featured below from designers such as Simone Rocha and Alexandra Rich as well as great vintage pieces. 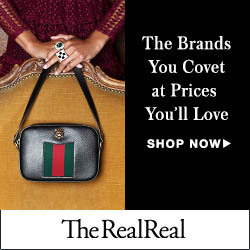 Everyone asks me where to find designer bags and accessories for less. The Chanel bags are priced from £1000 but there are lots of vintage Dior from £60 and the Hermes is brand new with the box and the provisional price is £1,800. This is only a tiny selection of what you are going to find and it is all for a great cause. I will be there on the night to help out! There will be lots of gifts available from brands such as Jo Malone too at really competitive prices. Put the 29th of November in your diary and even if you cannot make it remember you can call up on the 30th and pay over the phone.